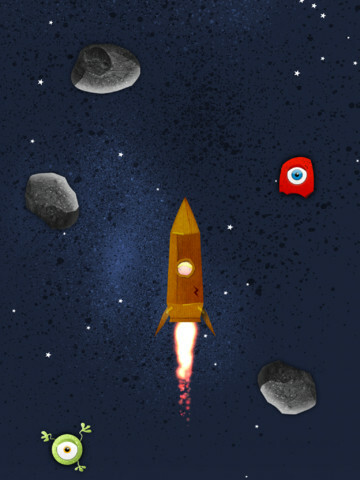 Wee Rockets is a simple little kids creation game from developers Wee Taps. The game consists of 2 main gaming elements, the creation of the rocket and then the flying of the rocket in order to rescue a few aliens. 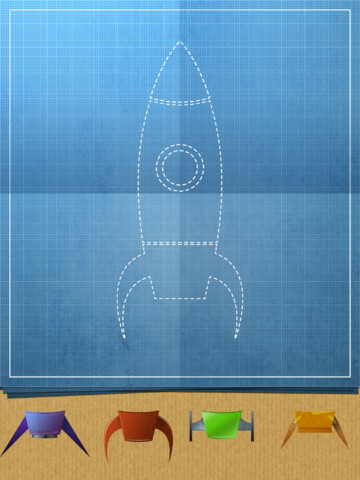 Wee Rockets allows you to build a variety of different rockets using 4 sets of rocket themes. There are 4 different parts to the rocket and 4 themes each making a total of 256 possible combinations. You can also choose 1 of 4 characters to fly your rocket ship. 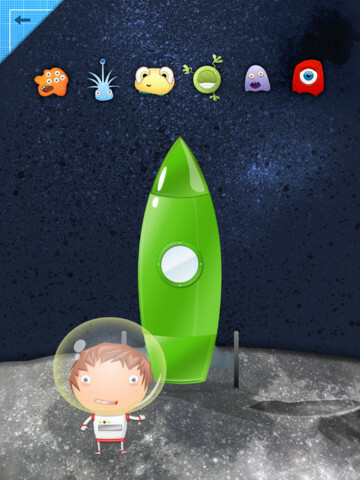 Once you build your rocket, it’s time to blast off for a simple space adventure. The space adventure is very simple to play. You basically drag your rocket ship around the screen to avoid being hit by asteroids. Along the way, you’ll encounter a few aliens you have to rescue. Rescue 6 aliens to complete your mission. That’s pretty much all you do. Once that’s over, repeat the building process and blast off again. 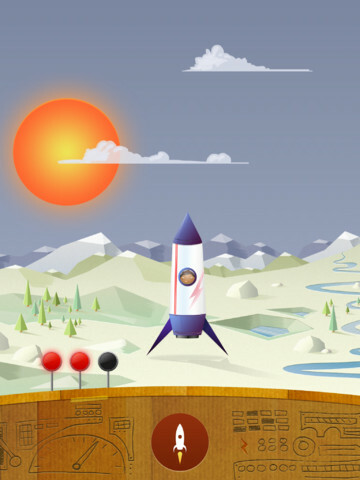 Wee Rockets is a simple game that young children will enjoy. The graphics are very nice and the music is also quite pleasant. Gameplay wise, it’s very simplistic and aside from building and then flying the rocket, there isn’t much more to do in the app and I’m not so sure it’s worth the $1.99 they are charging. If it were $0.99, then it would be a better value for what the game offers. Overall though, it’s a solid game for young children despite the pricing. 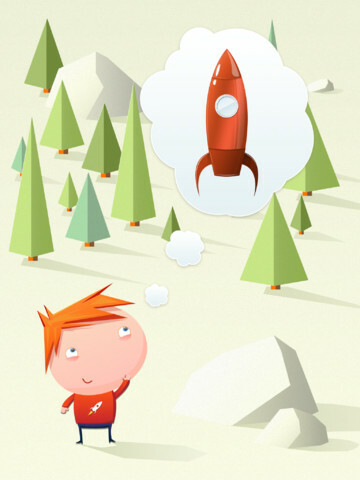 Wee Rockets is available now in the App Store for $1.99. It is compatible with iPad.Requires iOS 4.3 or later. Let your kids build their own rockets with superb retina graphics, launch them into space and race through the asteroid field to rescue all the aliens.